» How does grape composition affect wine chemistry and ultimately the sensory properties of the wine? 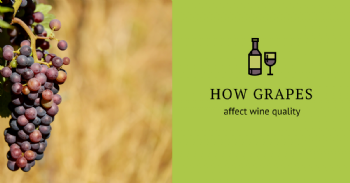 How does grape composition affect wine chemistry and ultimately the sensory properties of the wine? Not only isn’t there a clear answer to that question, it probably hasn’t been asked as often or as emphatically as might be expected. We are aware of some specific and often quite pronounced links – pepper due to rotundone, for example, or floral characters from monoterpenes – but the body of general knowledge has many gaps. Dr Paul Boss from the CSIRO is not sure why, but he has a suspicion the power of yeast may have something to do with it. Boss and fellow investigators Jun Niimi, Susan Bastian and David Jeffery from the University of Adelaide have just completed a four-year, Wine Australia-funded project to examine the grape quality parameters that influence wine flavour and aroma.